It's close to midnight in Odu, Ghana, on March 20, 1841. The village, draped in darkness, soon erupts into chaos. White men set fire to the homes, and as the townspeople flee the men capture, manacle, and kidnap dozens of strapping young men, the village's best and its promise for the future-fourteen-year-old Basusu Mensua among them. His fate is sealed. Basusu, determined to be strong as the son of the chief, endures a harsh trip across the sea in the disease-infected hold of a slave ship. Fate smiles on Basusu. He lands on St. Simons Island in the New World with Kwasi, a fellow villager, and they work together on the Jordan Plantation. Here, he must cultivate the seed of a new future, create his own family, and forge a new destiny with the hand history has dealt him. 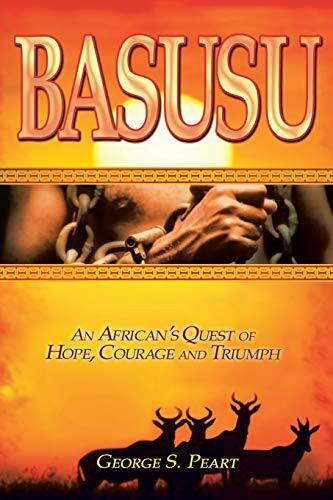 The first book in a series by Dr. George S. Peart, Basusu follows the trials and tribulations of Basusu Mensua, ripped from his African home to become a slave, as he navigates his new life in a new world. Dr. George S. Peart earned a Bachelor's and a master's degree in sociology and has been involved in the social sciences/history in divers ways. A writer of several others books, he travels to many countries and Islands speaking in seminars and such meetings.